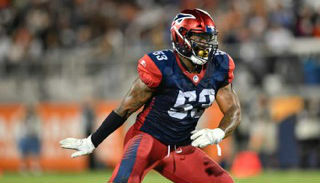 Led the Legends over the Memphis Express 23-20, rushing for 83 yards and 1 TD and catching 6 passes for 23 yards and another TD. 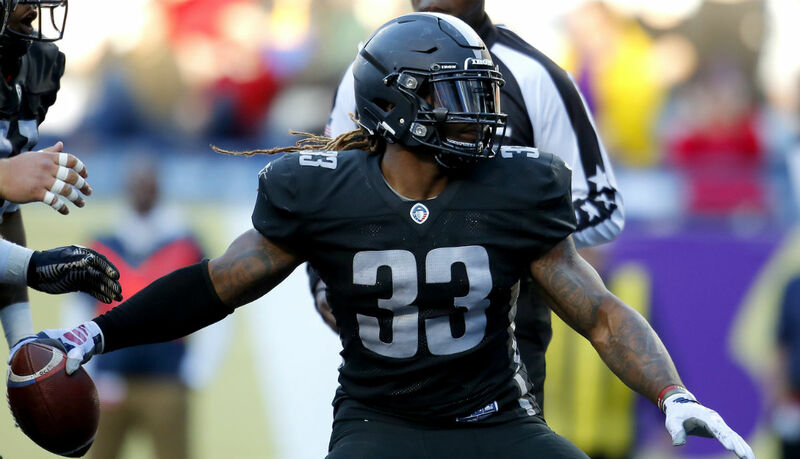 Anchored the Express defense with 13 Total Tackles, 4 Tackles for Loss, 4 Passes Defensed, and 1 Interception to beat the San Diego Fleet 26-23. 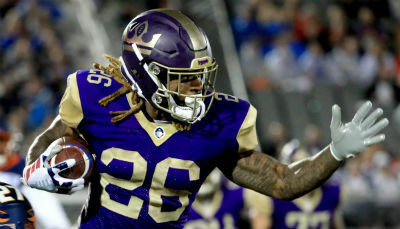 Rushed for 46 yards and 3 TD's against the Atlanta Legends, beating them 28-12 to remain undefeated. 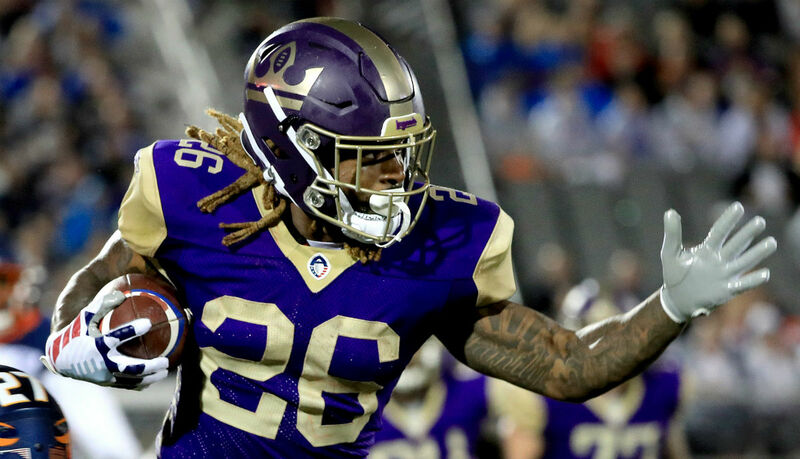 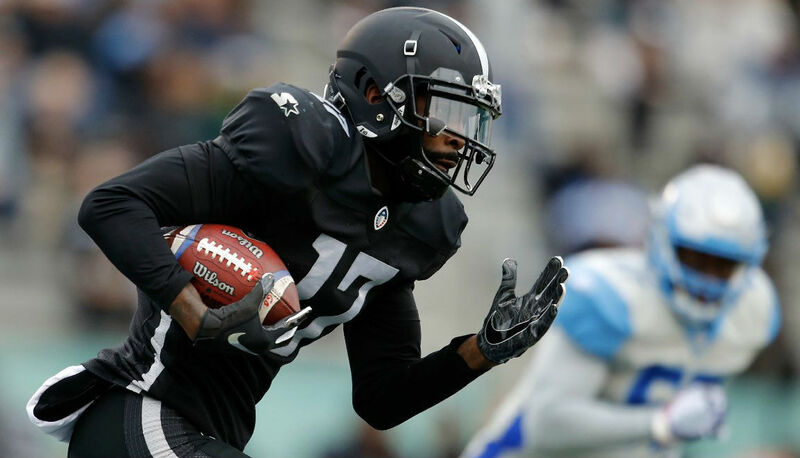 Richardson leads the AAF with 6 TD's after 3 weeks. 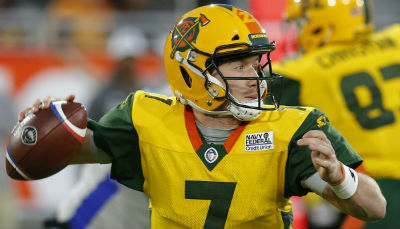 Led his team over the Salt Lake Stallions 38-22, throwing for 275 yards, 4 TD's, and 0 INT's. Wolford leads the AAF in passing yards and touchdowns after week 1. Caught 10 passes for 141 yards to lead the Patriots over the Los Angeles Rams 13-3 in Super Bowl LIII, winning the MVP. 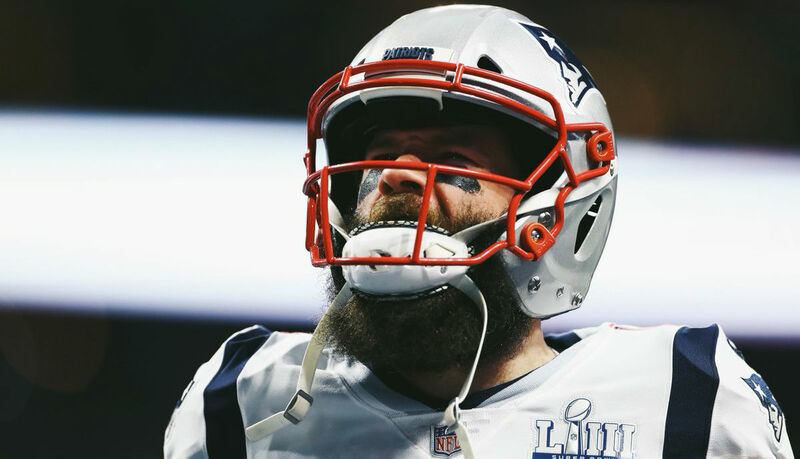 Edelman is the seventh wide receiver to earn Super Bowl MVP honors. Led the AFC over the NFC 26-7 in the Pro Bowl, where he was named the offensive MVP. 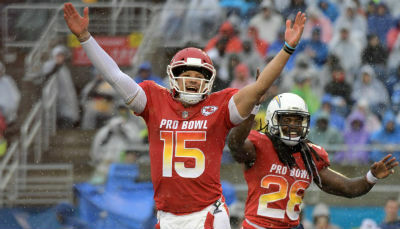 There were more than 32 players wearing SportStar chinstraps at this years Pro Bowl. 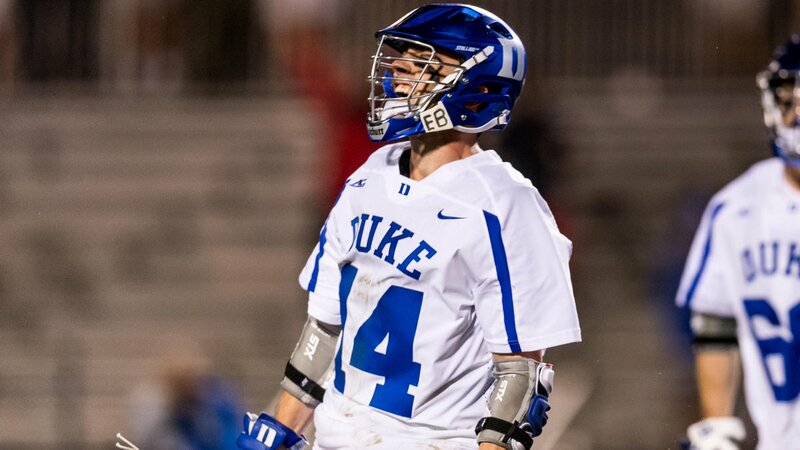 The BEST players wear the BEST gear! 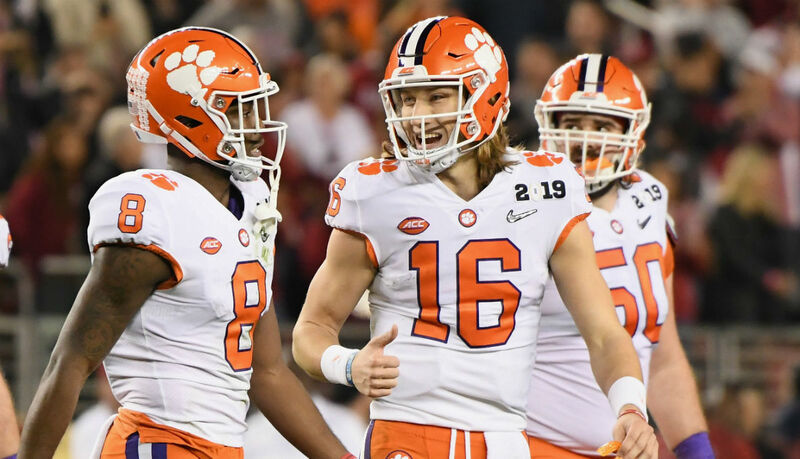 Led the Tigers over #1 ranked Alabama Crimson Tide 44-16 in the College Football National Championship game, throwing for 347 yards, 3 TD's, and 0 INT's. 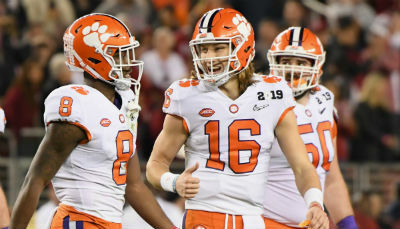 The Tigers became the first major-college team to complete a season 15-0 in 121 years. 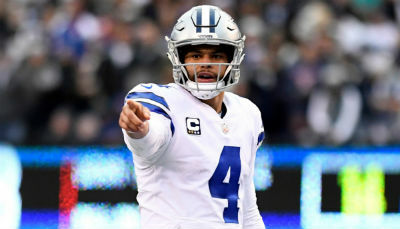 Led his team over division rival New York Giants 36-35, throwing for 387 yards, 4 TD's, and 0 INT's. 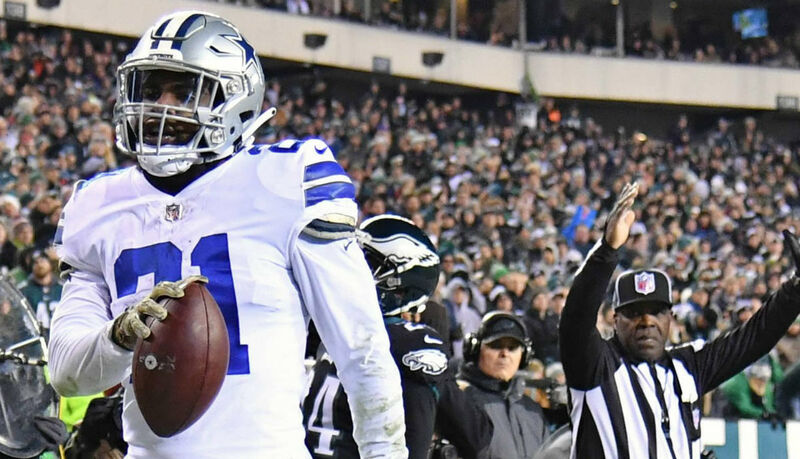 The Cowboys won the NFC East and will face the Seattle Seahawks in the Wild Card round of the playoffs. The recently signed veteran free agent filled in for Todd Gurley (knee) by rushing for 167 yards on 20 carries and a touchdown, helping the Rams defeat the Arizona Cardinals 31-9. 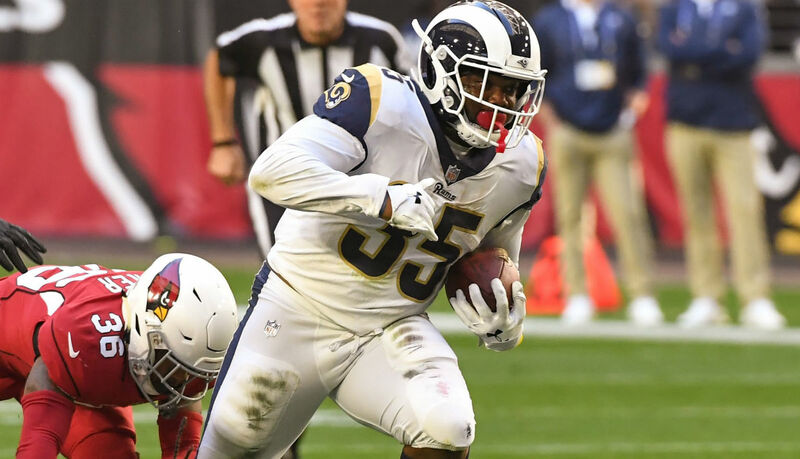 The Rams are currently the #2 seed in the NFC. 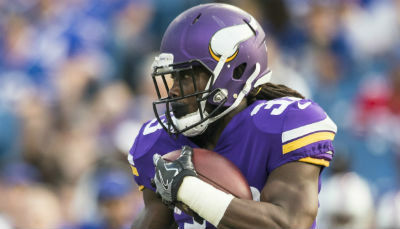 Rushed for 136 yards, 2 TD's, and caught a pass for 27 yards to help the Vikings beat the Miami Dolphins 41-17. 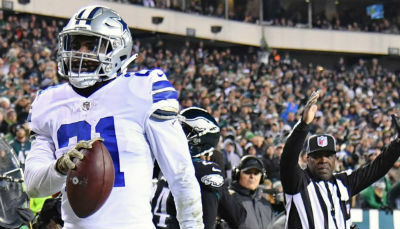 Caught 10 passes for 217 yards and 3 TD's as the Cowboys beat division rival Philadelphia Eagles in overtime 29-23. 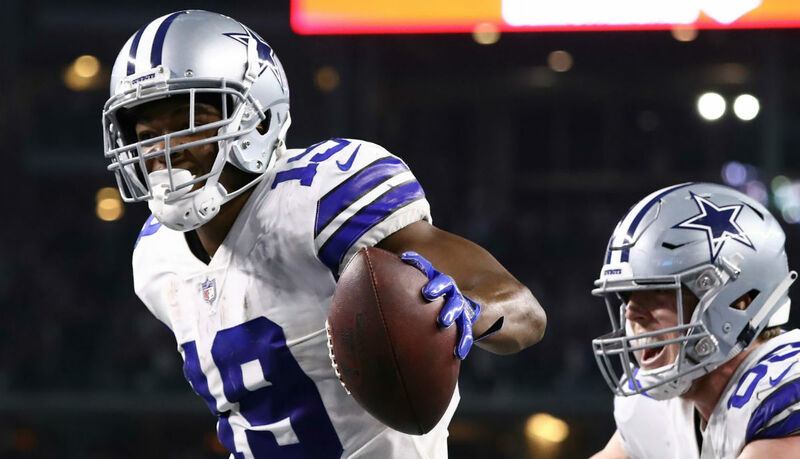 The Cowboys have won 5 straight and currently have a 2 game lead in their division. 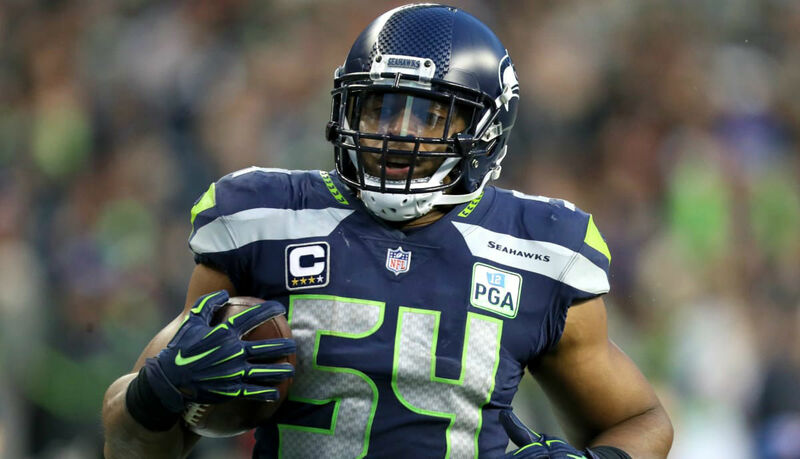 Disrupted the San Francisco 49ers offense to help the Seahawks win 43-16 with 12 tackles, 1 sack, 1 forced fumble, 2 pass deflections, and a 98-yard interception return for a touchdown. 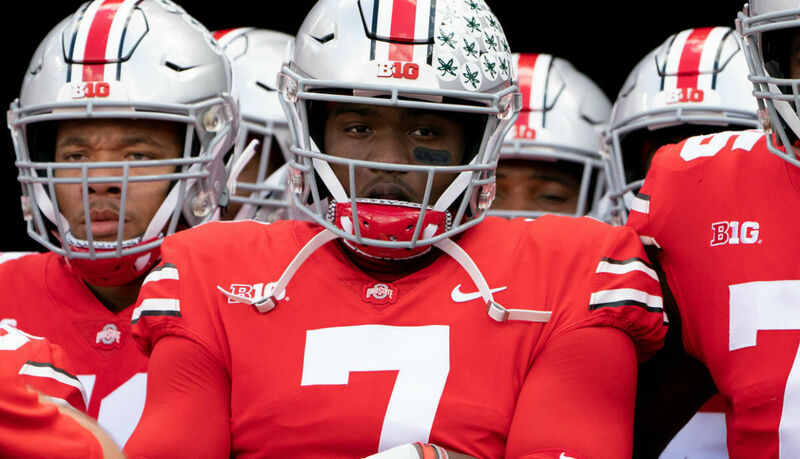 Led the #10 Buckeyes over their rival #4 Michigan Wolverines 62-39, passing for 396 yards, 6 TD's, 0 INT's, and rushing for 34 yards. 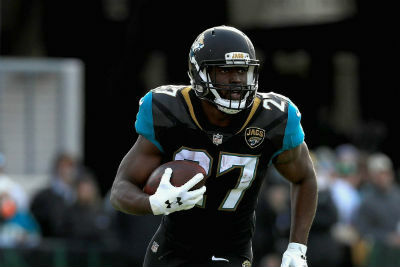 Led his team over the Tampa Bay Buccaneers 38-35, rushing for 142 yards, 2 TD's, and catching 2 passes for 10 yards and another TD. 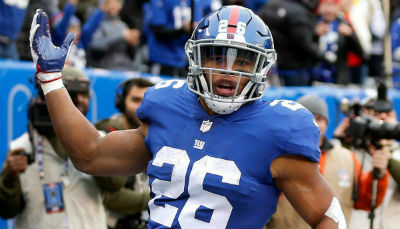 Rushed for 151 yards, 1 TD, and caught 6 passes for 36 yards and another TD against division rival Philadelphia Eagles. The Cowboys won 27-20. Led the Steelers over the Carolina Panthers 52-21, throwing for 328 yards, 5 TD's, 0 INT's, and rushing for 27 yards. 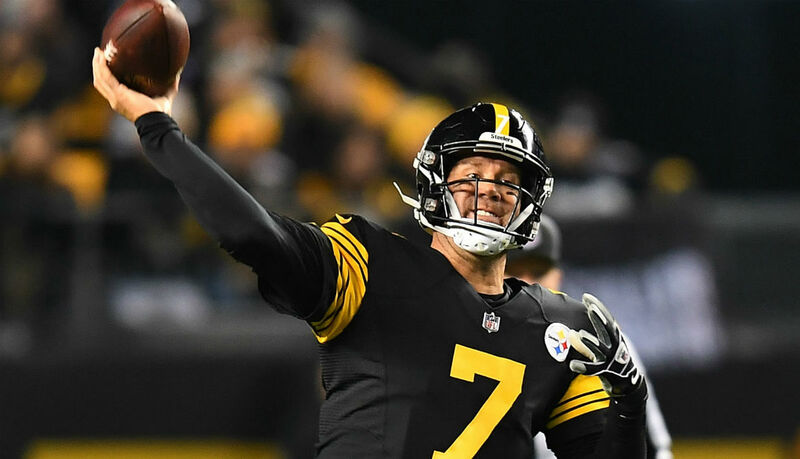 The Steelers extended their winning streak to 5 games. 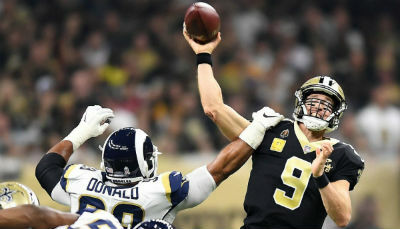 Led the Saints over the undefeated Los Angeles Rams 45-35, throwing for 346 yards, 4 TD's, and 0 INT's. Brees currently leads the NFL in Passer Rating with 120.6. Led the Texans over the Miami Dolphins 42-23, throwing for 239 yards, completing 16 of 20 passes, 5 TD's, and 0 INT's. 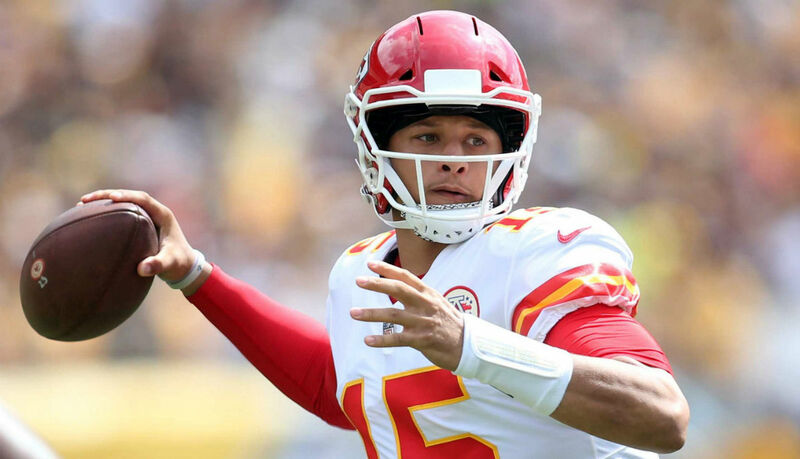 He passed Dan Marino for second most touchdown passes through a player's first 15 career games. 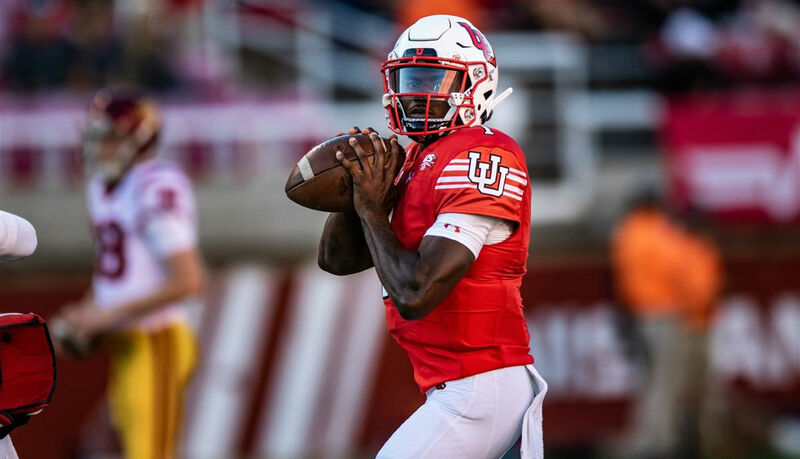 Led the Utes over the USC Trojans 41-28, throwing for 341 yards, 4 TD's, 0 INT's, and rushing for 33 yards and 1 TD. Utah moved into the AP Top 25 for the first time this season. 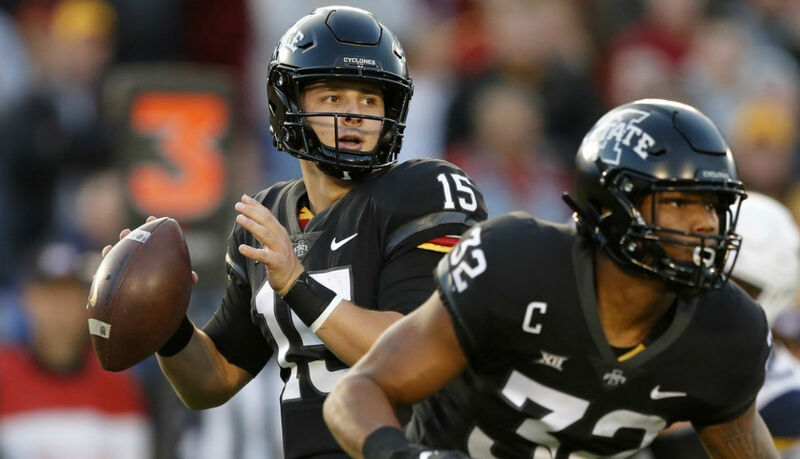 Led the Cyclones over AP #6 West Virginia Mountaineers 30-14, throwing for 254 yards, 3 TD's, and rushing for 39 yards. 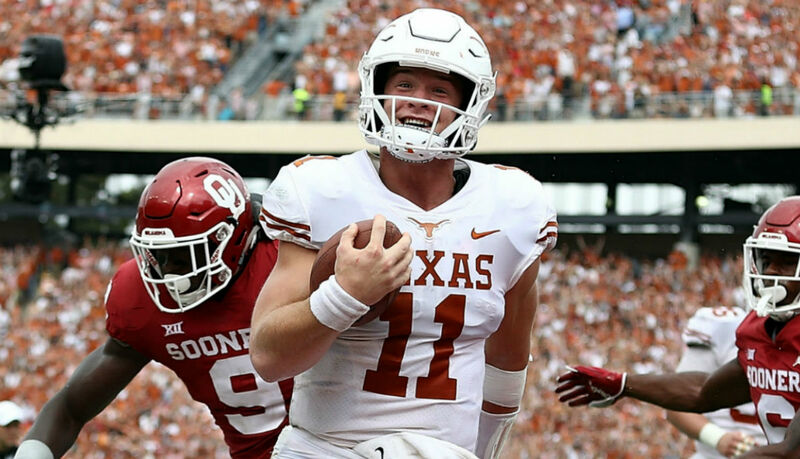 Led the Longhorns over the Oklahoma Sooners in the Red River Showdown, throwing for 314 yards, 2 TD's, 0 INT's, and rushing for 72 yards and 3 TD's. 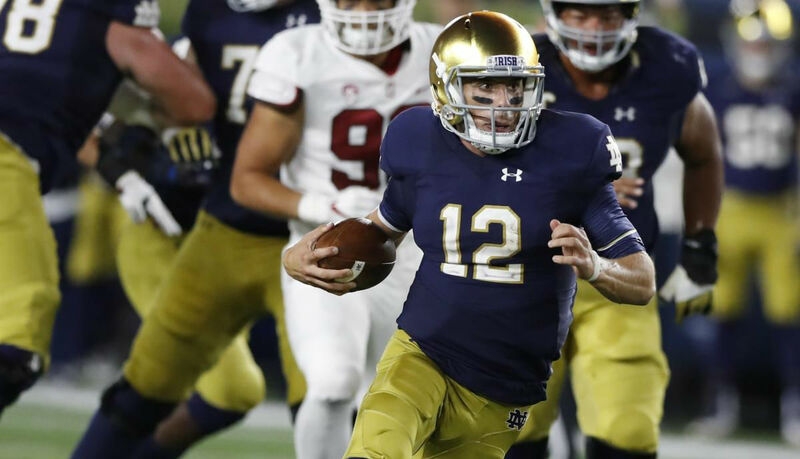 Led the #8 ranked Fighting Irish over #7 Stanford Cardinal 38-17, throwing for 278 yards, 4 TD's, 0 INT's, and rushing for 47 yards. Led the Saints over division rival Atlanta Falcons in overtime 43-37, throwing for 396 yards, 3 TD's, 0 INT's, and rushing for another 2 TD's. 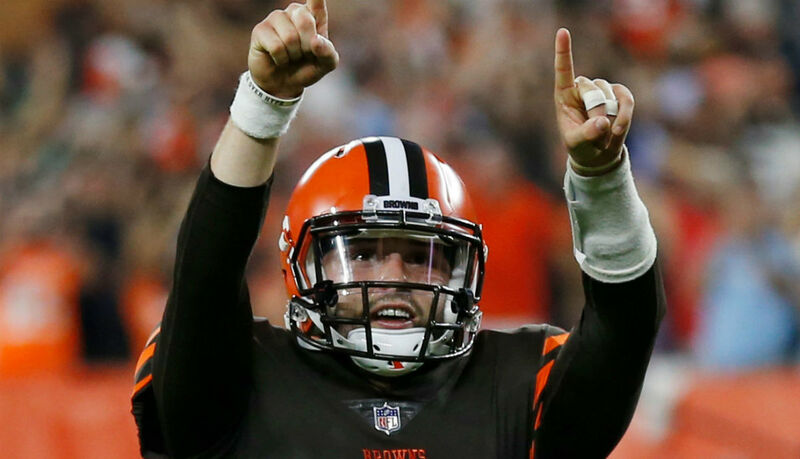 Led the Browns to their first win in 635 days over the NY Jets 21-17, replacing injured QB Tyrod Taylor late in the 2nd quarter while down 14-0. 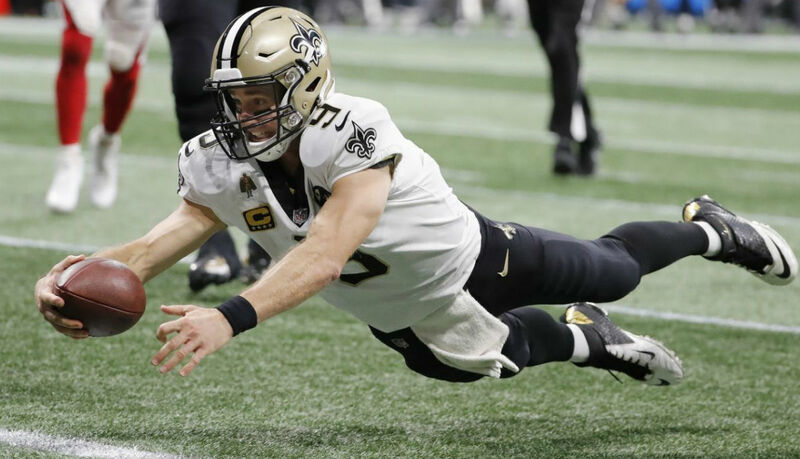 He completed 17 of 23 passes for 201 yards. 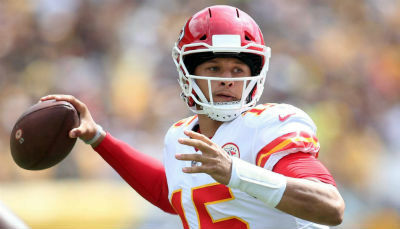 Led the Chiefs over the Pittsburgh Steelers in a shootout 42-37, throwing for 326 yards, 6 TD's, 0 INT's. He has 10 TD's in the first 2 weeks of the season. 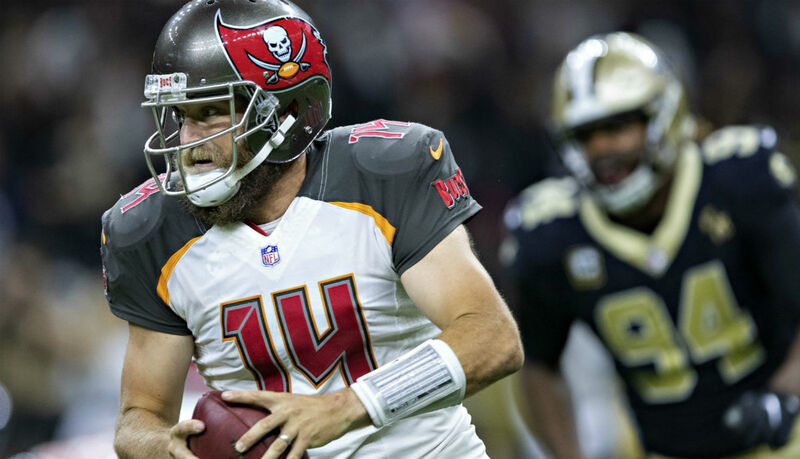 Led the Bucs over the New Orleans Saints 48-40, throwing for 417 yards, 4 TD's, 0 INT's and rushing for another touchdown. 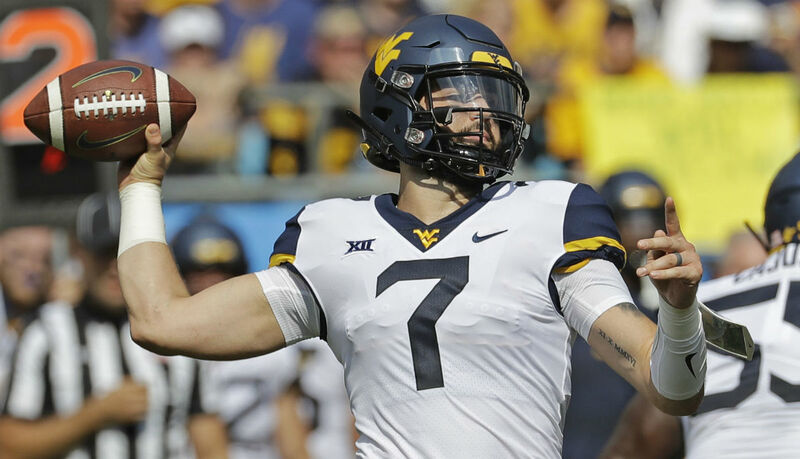 Led the Mountaineers over the Tennessee Volunteers 40-14 with 429 passing yards and 5 touchdowns. 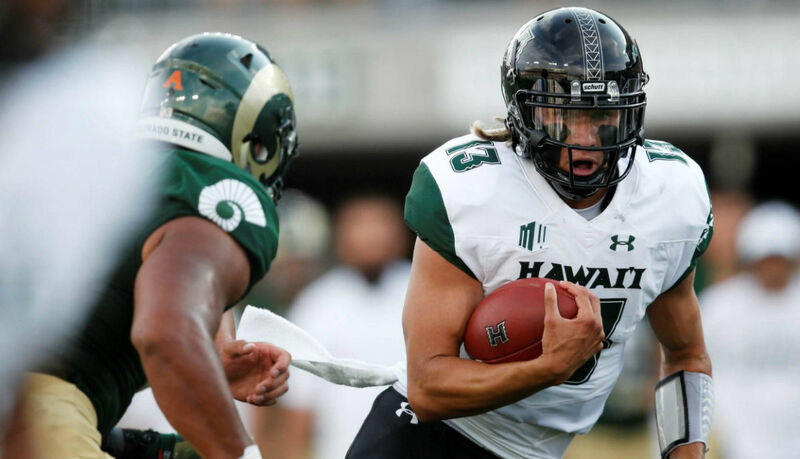 Led his team over the Colorado State Rams with over 500 total yards and 5 touchdowns. 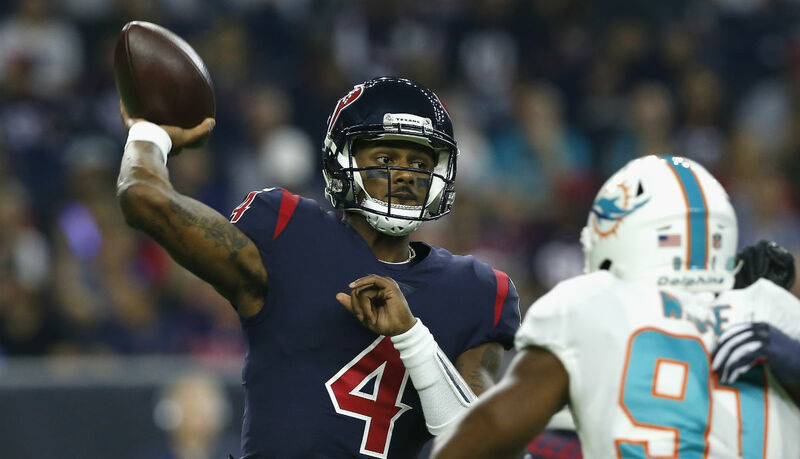 See what the Houston Chronicle says about Deshaun Watson: "It's the position. It's the promise. 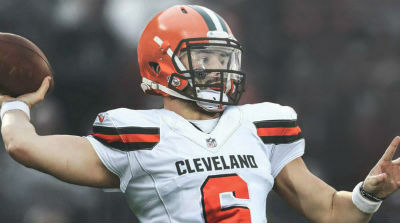 It's the great unknown because of his knee injury. 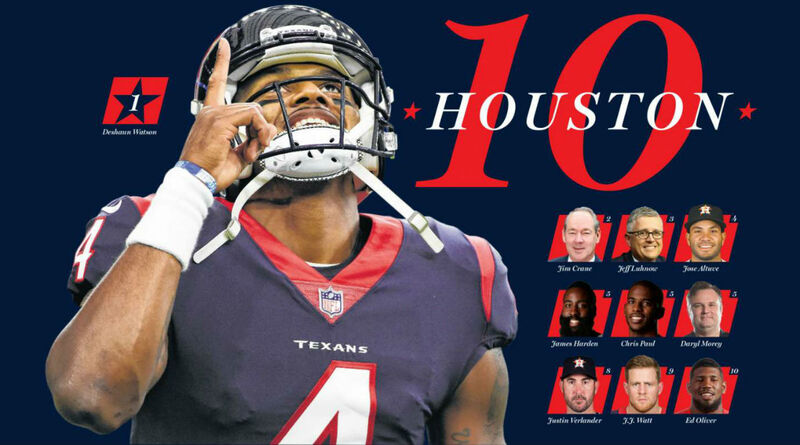 I've been writing about sports for Houston's daily newspapers for 46 years now and I'd argue that no Houston athlete at any position has created a louder buzz at this stage of his career." 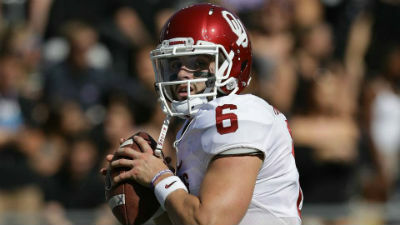 Finished his career at Oklahoma as one of the most decorated quarterbacks in college football history, topping it off by winning the Heisman Trophy, Maxwell Award, Davey O'Brien Award, and the Big 12 Championship. Currently leads the NCAA in Goals and Assists, 2x All-ACC, 2nd Team All-American, Tewaaraton Nominee. 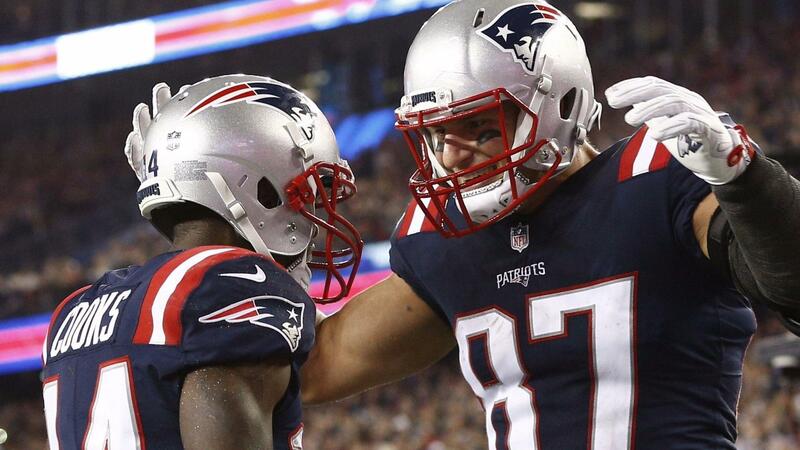 Congratulations to the Patriots for advancing to its 10th Super Bowl in franchise history, most in the NFL. Only rookie in NFL history to rush for 100 yards and 3 touchdowns in a playoff game. Congratulations to Baker Mayfield for winning the 2017 Heisman Trophy.